Born 1974 in Bologna, where he still lives and works today. 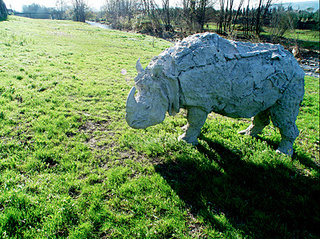 Creates more or less life-sized bronze and other sculptures of such animals as gorillas or rhinos, and places them in rather off-center environments such as city streets among others. His works mixing reality and fiction usually cause a sense of astonishment in the viewer.